Have to say I'm really torn. 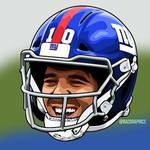 I want Eli to play well, but I'd love to be picking #2 in the upcoming draft. I have a reason to cheer again. Thank you Eli and crew. With a patchwork offensive line, receiving corps and secondary, you are showing no quit. We may be 2-10 but you guys are still giving it your all. This Giants fan is proud. Wtf. quit moaning. Really Eddie. I know why I'm surrounded by these folks. I've attended all but 3 games since 1979.two were weddings. This year I opted out of going to the chiefs game. And its not us fans selling. Its management putting a poor product on the field. Then that happens and I go WTF. Sorely miss Jenkins. McAdoos Giants would go 3 and out here. Lets see what happens now. Quit moaning? Who is moaning? I just simply responded to you about how many Cowboys fans are there. This is nothing new. There is going to be more of them when the Giants are having a bad year. Fans are selling there tickets. That's how Cowboys fans are getting them. C'mon man! Don't get mad at me just for stating my opinion. Bears, Browns, 49ers all leading their games right now. This is good news! 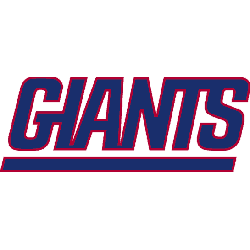 Need the Broncos to beat the Jets too, that would only help the Giants draft position too. Is Spags still calling the defense? 4th and 3. 8mins to go in half. Roughly Dallas side of midfield. SPAGS is going to play field position and punt. SPAGS will never be HC anywhere again after his stint in St Louis. And most Teams will never hire him as DC with him holding the record for the NFL 3 worst all time defenses. Rams then saints then giants. He's a position coach at best. And here he is today, playing field position. Guys play hard your auditioning for your new team next year. Giants will receive kickoff to start 2nd half.